About two weeks ago, Louisiana-born Rock ‘n’ Roll Hall of Famer, Jerry Lee Lewis, suffered a stroke, causing him to cancel several upcoming performances, including his scheduled appearance at the 2019 Jazz & Heritage Festival in New Orleans. Lewis, now in a rehabilitation facility in Memphis, is expected to have a full recovery from the stroke. 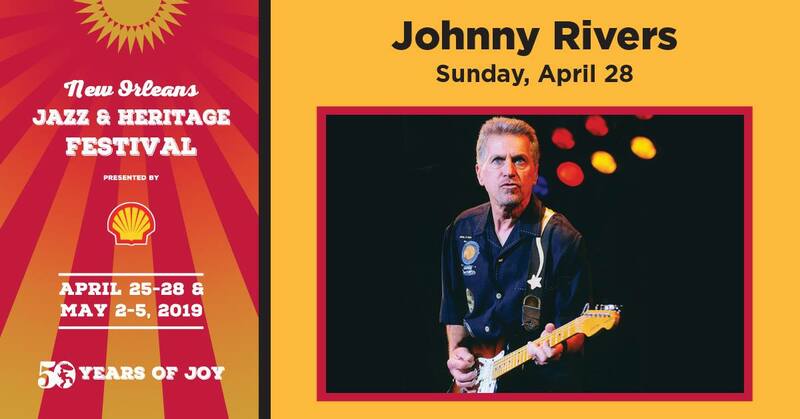 The festival has added Johnny Rivers, best known for his songs, “Secret Agent Man,” and “Mountain of Love,” to the festival lineup as a replacement for the 82-year-old Gospel artist. For all up to date information on the New Orleans Jazz & Heritage Festival, visit nojazzfest.com.